The thesis is meant to create a VISION of how future autonomous transportation will support inclusion through creation of personal spaces. Universal design is not a perfect solution - "one size fits all". Universal design is an approach and a goal. Creating a single product solution would restrict user in his opportunities. 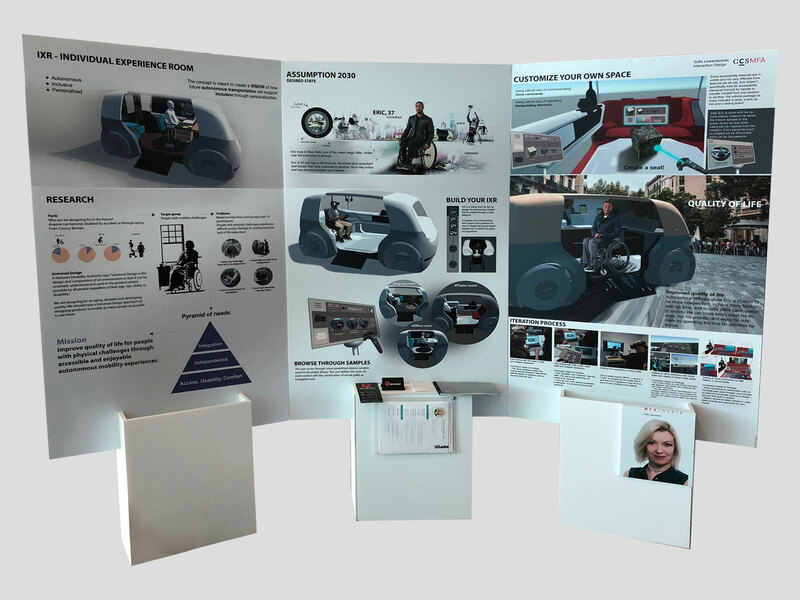 A virtual environment for users with special needs was created to enable them to define their own experience rooms on wheels.